100's of Attorneys Build Tool to Document Bad Cops: Introducing the "Cop Accountability Program"
New York, N.Y. – Defense attorneys have a new tool at their disposal to question the credibility of police officers in court, thanks to the largest organization of public defenders in the nation. The Legal Aid Society is a New York-based nonprofit with a staff of over 650 attorneys that represents over 230,000 people yearly. They have created the “cop accountability” database as a means of systematically tracking rogue actions by officers. By creating a database that records accusations of officer misconduct it becomes easier for defense attorneys to identify problem officers. The database allows the defense to bring these credibility issues to light. This subsequently forces judges and juries to take this information into consideration when passing judgment. Cynthia Conti-Cook, a former civil rights lawyer, joined the Legal Aid Society last spring with the idea for the database, formally called the Cop Accountability Program, already in mind, according to Slate. The impetus behind the project is that during a criminal case there’s typically a “big red arrow that says ‘criminal’ pointing to the defendant.” There’s very little the defense can respond with other than to say, “my client denies the charges,” according to Conti-Cook. According to Justine Luongo, the attorney-in-charge of the Legal Aid Society’s criminal practice, attorneys at Legal Aid are instructed to be very comprehensive in uploading information. The information includes complaints that were dismissed or unsubstantiated and noting the outcome. Other informational sources that will be included in the database are civil lawsuits against the city, news reports, grievances filed with the Civilian Complaint Review Board, and criminal trials in which an officer was deemed not to be credible by the judge. The largest police union in New York has come out strongly opposed to the accountability database. “Compiling a list of police officers who are alleged to be ‘bad’ based upon newspapers stories, quick-buck lawsuits and baseless complaints does nothing more than soil the reputation of the men and women who do the difficult and dangerous job of keeping this city and its citizens safe,” Patrolmen’s Benevolent Association President Pat Lynch said in a statement. Contrary to Lynch’s comments, the potential implications of this database could be far-reaching and go well beyond merely affecting individual cases as noted by Joanna Schwartz, assistant professor at UCLA School of Law. Schwartz, who researches the manner in which departmental policy is formed by lawsuits against the police, believes this technology could eventually change the way departments handle misconduct internally. 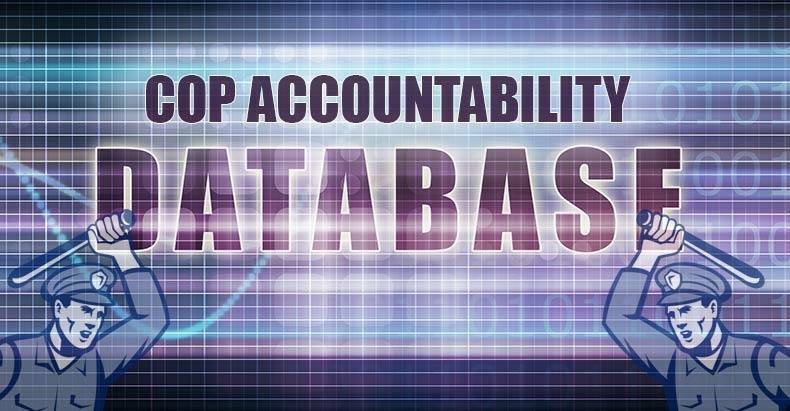 With great power comes great responsibility and by creating a database that can be used to hold officers accountable for their actions over the long-term, it ensures that those entrusted to enforce the law, follow it as well or suffer the consequences of their actions. This program is a great start, but to truly stem the tide of systemic corruption rampant in policing across the whole of the U.S., a nationwide database of every officer in the country is needed.